Cameras and cephalopods are a combination that just keeps on giving, mostly because the tentacled thieves can't seem to leave camera equipment alone (we don't mean to be disparaging – octopi are awesome ... and we use the word octopi without fear). The latest incident takes us to Vermont in the US, where filmmaker Benjamin Savard was making a short film about the scientific research going on at Middlebury College. According to Savard, this included using a GoPro to film a cephalopod tank ... which is when the octopus struck. 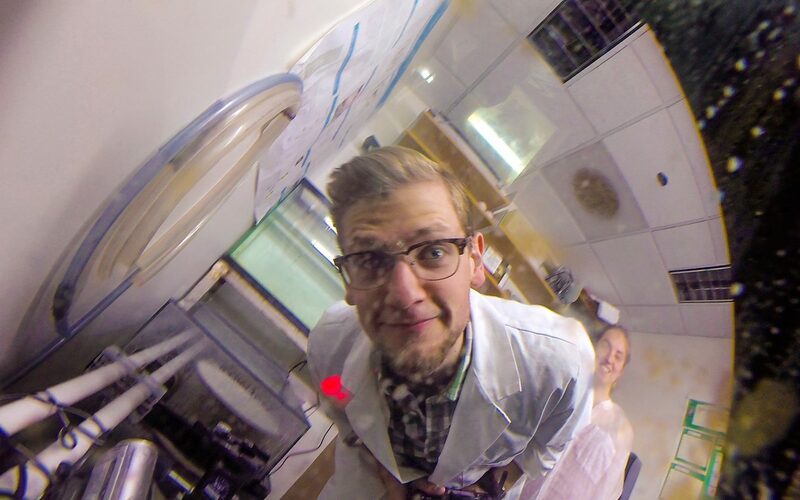 "I was able to get some video footage of the octopuses being studied in Middlebury's neuroscience and biology departments," writes Savard on his Facebook page. 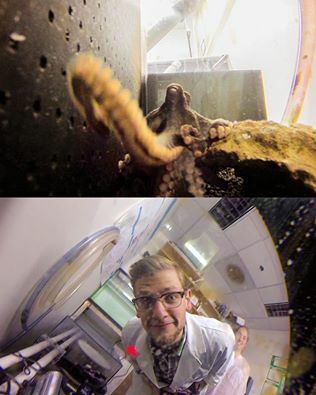 "This included dropping a running GoPro into a cephalopod tank, where an octopus turned the camera around and took this photo of me!" Savard says. Image: Ben Savard/Middlebury College (and one intrepid octopus). Savard tells ABC that his GoPro had been set to take several still images every second when he placed it in the tank. "The octopus picked up the camera, played with it for a while, turned it back at me for a quick second, and left it alone," he recalls. "Next time I need help filming underwater, I know who to turn to!" Savard says.